Cut flowers are expensive, so you want them to last as long as possible. Here are some interesting tips that will help you get the most out of your sweet smelling investment. 1. 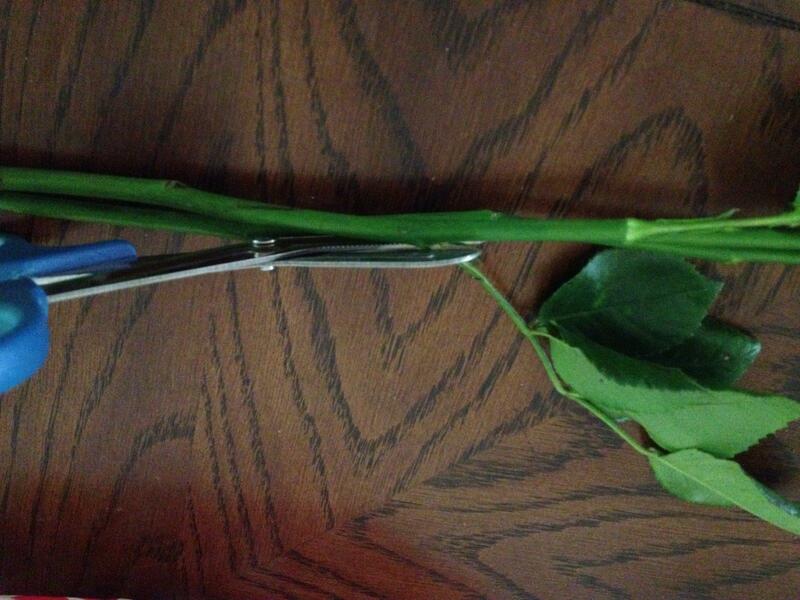 When you first bring your flowers home, cut the stems at an angle, as shown. This can be done underwater or not, your choice. 2. Strip any extra stems and leaves from the plant. It’s best to trim them off with sharp scissors. You have to remove them so the leaves don’t start to break down in the water, which will make the water dark and stinky and encourage bacteria that will rot the stems and kill the flowers faster. 3. 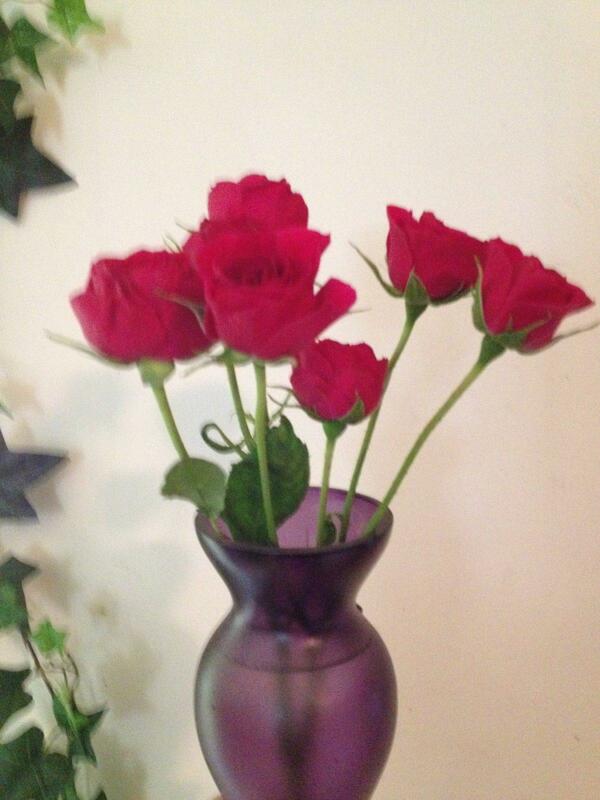 Fill your vase with fresh cold water and the one full packet of flower food. Remember, florists preserve the flowers in a cooler, so cold is better. Did the florist forget to send it? That’s ok! We have a recipe for Make Your Own Flower Food. Just click here. 4. Stir or shake the vase (covering the open end of course) to mix in the food. 5. Arrange your flowers, removing any unnecessary leaves so that the stems are pushing nutrients to the parts you want to sustain, rather than the things you don’t need. 6. 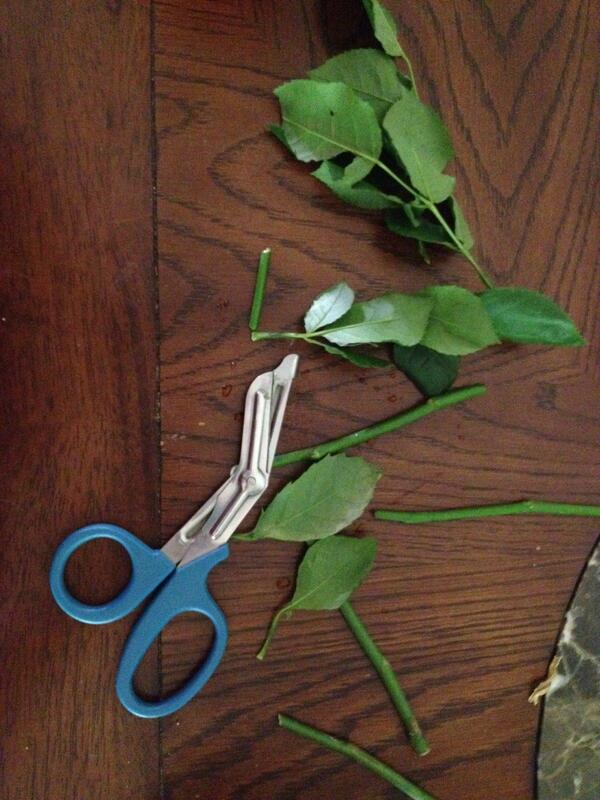 Trim the stems down again, if needed, so the aren’t too high up in the vase. 7. 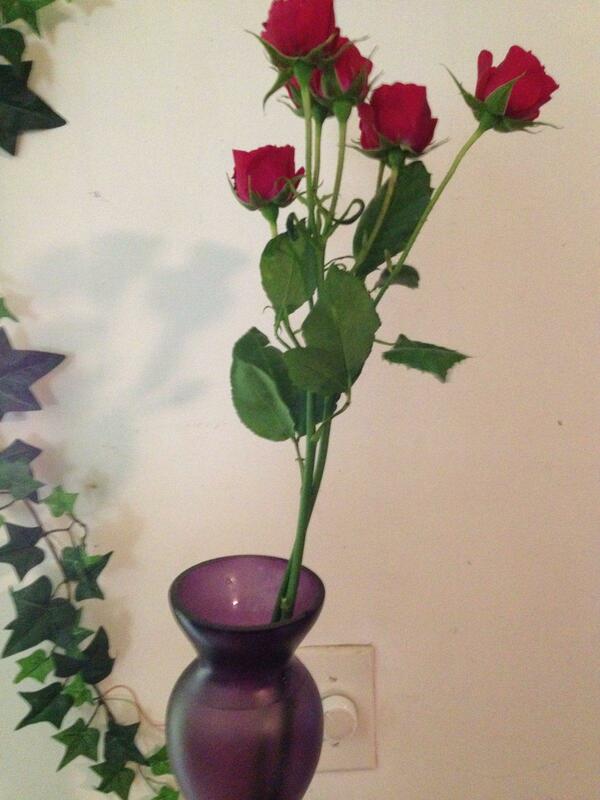 Make sure the vase is wide enough for the arrangement. If you try to stuff flowers into a vase the will just strangle and die. 8. Use pebbles or an arrangement frog if you like, but if you use them, be careful not to bash the base of the stems while arranging or to scratch off the length of the stem. The stem is covered with a skin that will drain resources to heal if it is scathed that would otherwise go to sustaining the bloom. 9. Change the water (and re-add food packets) every three days. 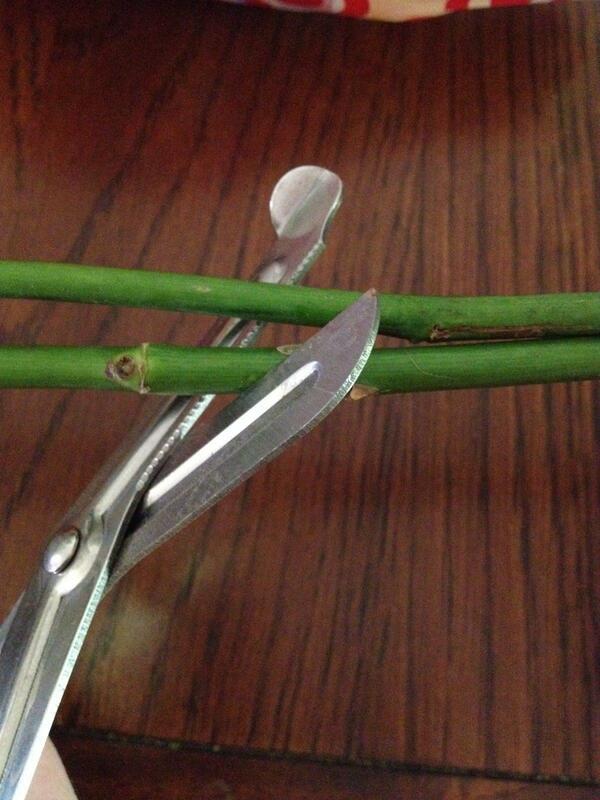 If you want to trim a little more off the stems, that is also helpful if you have the leeway. 10. Keep out of direct sun in a cooler area of the house.